Printing industry veterans Tom Crouser and John Giles are the professionals working with you one-on-one in the CPrint program. Tom Crouser bought his first printing press while in junior high in Charleston, West Virginia and has been continually involved in printing ever since. However, first and foremost Tom is a small business owner with twenty years of operating his printing company plus twenty-five years of full-time consulting with hundreds of businesses in the US and Canada. Tom also has made presentations before audiences throughout the United States, Canada, England and Australia. 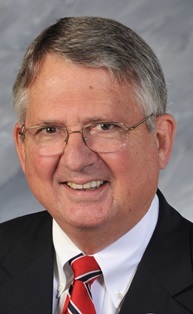 Tom holds an undergraduate degree in accounting and a Masters of Business Administration and has taught management to seniors in the printing management program at West Virginia University Institute of Technology as well as taught Operations Management on the graduate and undergraduate level at the University of Charleston. In his spare time, he served over 25 years as a member of the U.S. Air Force Reserve, retiring in 1992 as a Lieutenant Colonel. You may email Tom direct at tom@cprint.com. John Giles is a business consultant and Technology Director for CPrint. 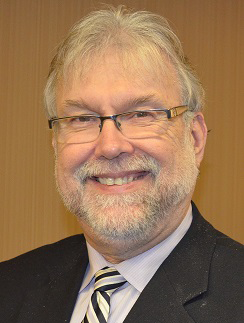 John has been involved with the printing industry for more than 30 years and is a regular columnist for Printing News. He is also the author of several well known books including 12 Secrets for Digital Success; Digital Directions: a workflow guide for quick printers, The Digital Original, and The DTP Pricelist. In addition to writing for Printing News, John has published articles in other industry trade news outlets such as OnDemandjournal.com, Whattheythink.com and Microsoft.com. John has made presentations on digital topics throughout the US, Canada, England and Australia and currently assists CPrinters with not only the daily challenges of running a business but also the future challenge of keeping up with ever-changing technology. John started his printing career with Three Printers in Charleston, WV where he managed four quick printing locations. He is a graduate of Marshall University, Huntington, W.Va., with a degree in Journalism. He lives in Charleston, WV with his wife Wynita. While you’re at it, why not find out right now how CPrint® can help you and your business? 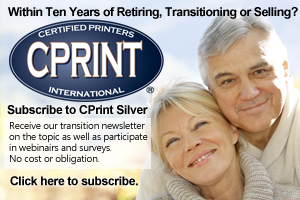 Email Tom Crouser tom@cprint.com and start a conversation. At CPrint® we help you see your business differently.